Learning Creativity! Testosterone & Creative Thinking! 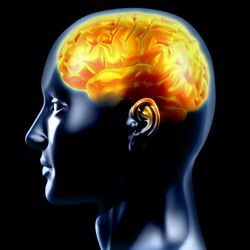 How Testosterone boosts your ability to learn and be creative! I've never mentioned it on this site before, but I'm a musician. Because of my involvement in music, I've been a student of the creative process for a very long time. During the course of my musical journey, I've learned one extremely important fact! Testosterone is a powerful force that drives and fuels the creative process! Sorry ladies, but just about all the major inventions, and technological advances made on this planet over the last several thousand years were fueled by testosterone. Why productivity fades with age: The crime–genius connection by Satoshi Kanazawa, Department of Psychology, University of Canterbury. The age–genius curves among jazz musicians, painters and authors are also similar to the age–crime curve. Further, marriage has a strong desistance effect on both crime and genius. I argue that this is because both crime and genius stem from mens evolved psychological mechanism which compels them to be highly competitive in early adulthood but - turns off - when they get married and have children. Fluctuating levels of testosterone, which decreases when men get married and have children, can provide the biochemical microfoundation for this psychological mechanism. He mentions marriage and children as the primary reason behind this decline, but as we all know, there are many other causes. The take home message of the paper is, once you hit a certain benchmark, be it age, marriage, or whatever, T levels drop, and you lose your edge, your drive, and your mental sharpness. You settle, become complacent, and less creative. I convinced he's right, because it happened to me. 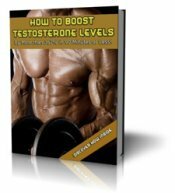 At the peak of my battle with low testosterone, I lost it. I could still reguritate all the material I'd learned over the years, but I lost my ability to create unique, spontanious, higher level music. I had swung around the age-genious curve, and was riding straight into the sunset. I was not engaged in my music, or in my life. That was a dark time indeed! Fortunately, I took steps to bring my testosterone levels back. I now have the T levels of a 29 year old, and I'm creating at a very high level again. My ability to improvise on my instrument has far surpased anything I was able to do in the past. My drive to create outside of my music is higher then ever before as well. Due to the wisdom I've gained over the years I've been able to channel this creative force into projects that bring extreme satisfaction into my everyday life. As I approach my 50th birthday, I can honestly say I feel more creative then at any other time in my life. I give all the credit to the testosterone!